Raising Our Child In Chinese, French, and English. In The Wild World. 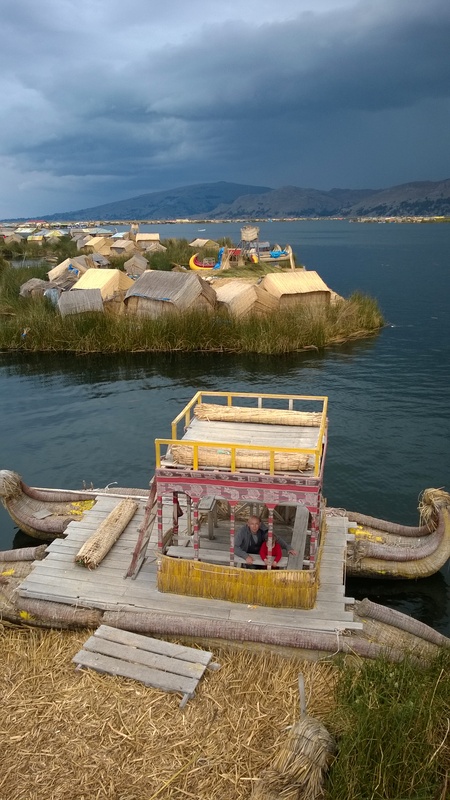 Even though the landing town of Puno in Peru was one of our least favourite cities in our entire trip so far, the unique and fairy-tale like floating island in the nearby Lake Titicaca was one of my favourite memories. 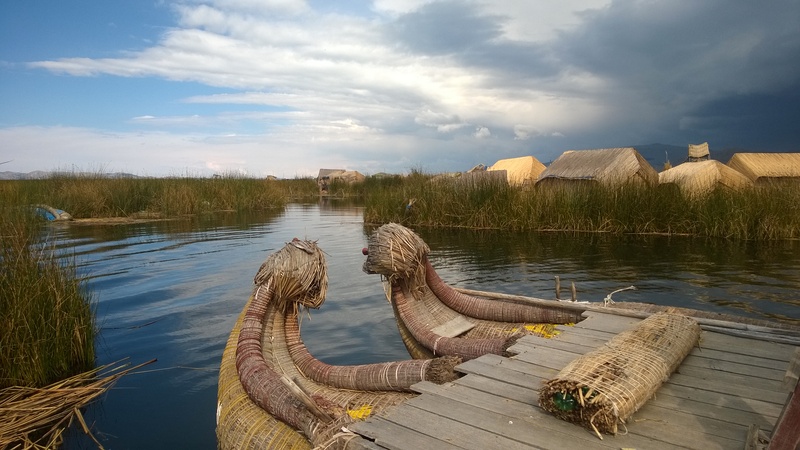 The floating islands – 80 plus of them altogether on the Peruvian side of the Lake Titicaca – are built entirely from one kind of reed, totora reeds! They literally float on the water. 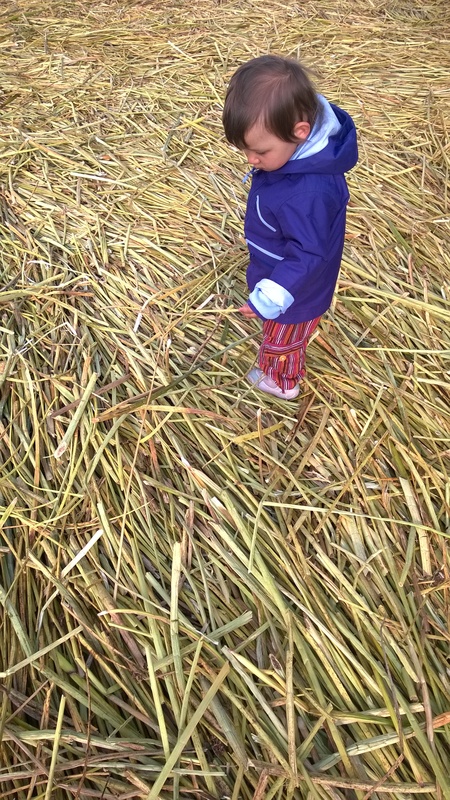 The floors of the islands, and the houses on it, are made from many many layers of the totora reeds. Very regularly new layers with fresh totora reeds are added, in order to replace the rotting ones at the bottom in contact with the water. In this way, the island remains floating, and soft enough to live on. 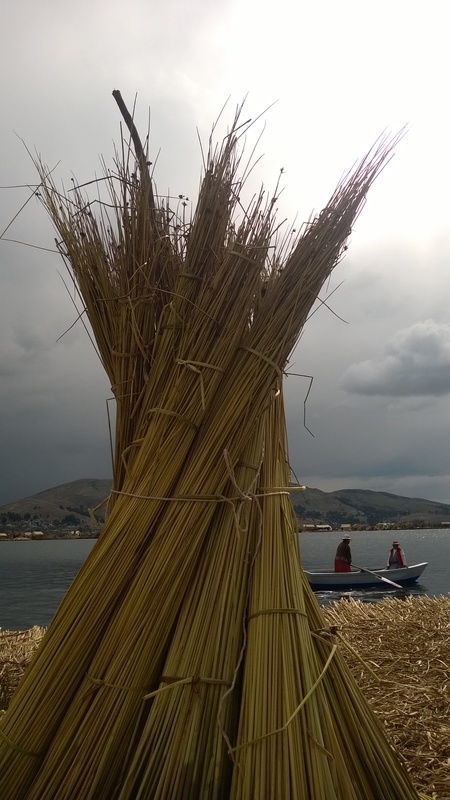 The totora reeds flourish abundantly in the lake. They are collected, dried, and made into different forms to build the different parts in the islands – floor, house wall, roof, etc. 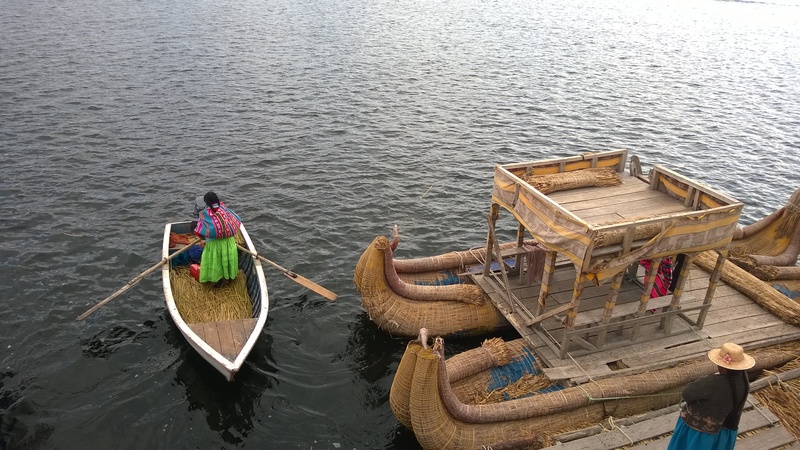 The most magical is the reed boats made out of the same materials. They are still in use (although motorized boats are becoming apparently more popular in daily life) to transport and link the different islands. 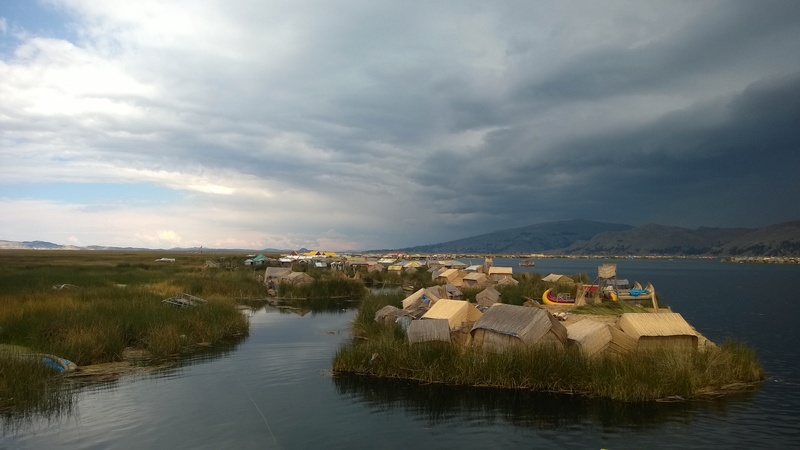 The Aymara people, long time ago, found a way to escape the invading forces by going into such trouble to build islands out of nowhere. Nowadays, tourists come straight into the heart of many islands. It works using a rotati0n system – each day tourists can visit two islands which are nominated and decided by the ‘co-op’ or equivalent. Yet I heard some islands refused to participate in such system, which means that they are still out of reach for visitors. They are perhaps the most loyal to the original intention of the floating islands. 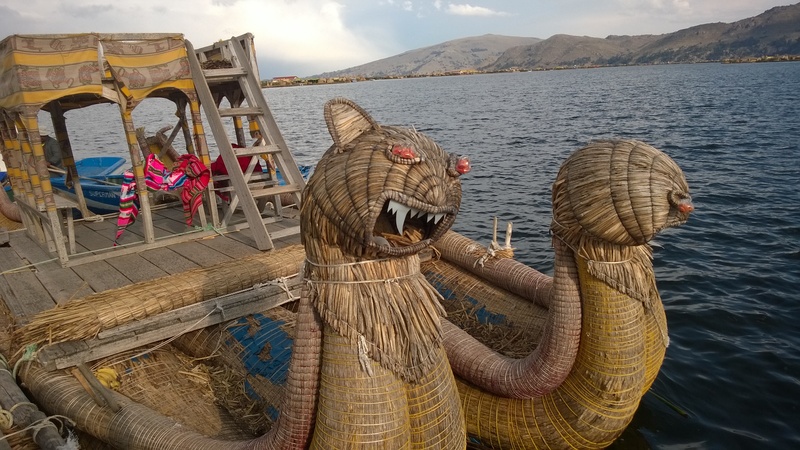 All reed boats are in some sort of animal forms. 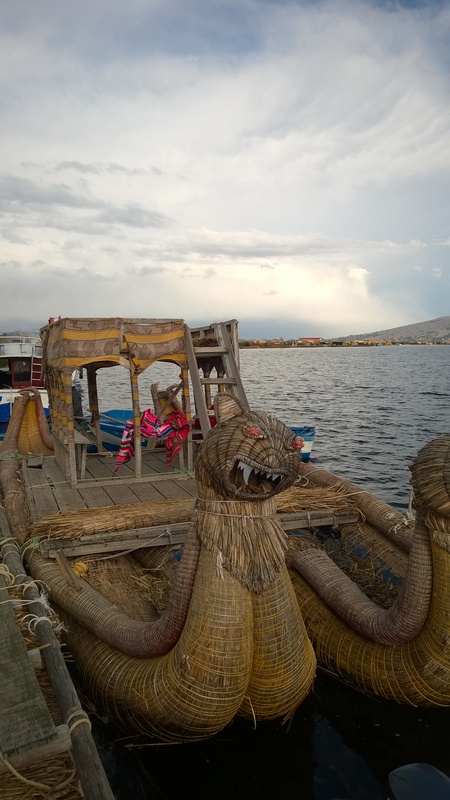 Animals are sacred things in Aymara culture, and they are embedded in many places – textile, sculptures, religious offerings, and on the boats. We met Martha 玛耳妲, a Peruvian from south coast, and his 3 yr old son Anthony. They were visiting here for the first time as well. She became very interested in how old women could be when giving birth, and was fascinated to know that I am always 35 but my daughter is only 2. She had her son at 25. She then asked what I did to help give birth at such ‘mature age’. She was surprised and became fascinated that I swam and did yoga very often during pregnancy till about a few days earlier than delivery. And I am amazed that my very basic Spanish went that far ! Mysterious, magical place! What a dream you are living! Looks like straight out of a fairy tale! Thank you for sharing! Is Speaking the ‘Other Parent’s’ Language Important For Multilingual Parenting? Copyright © 2019 Trilingual Family. All rights reserved.